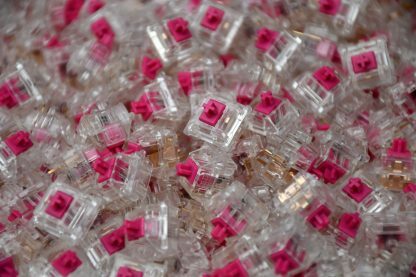 Comes in pack of 50 Switches. 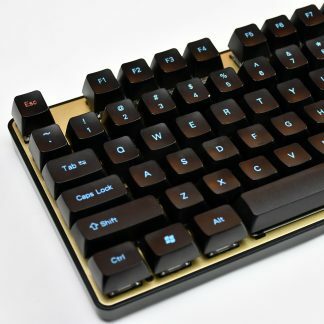 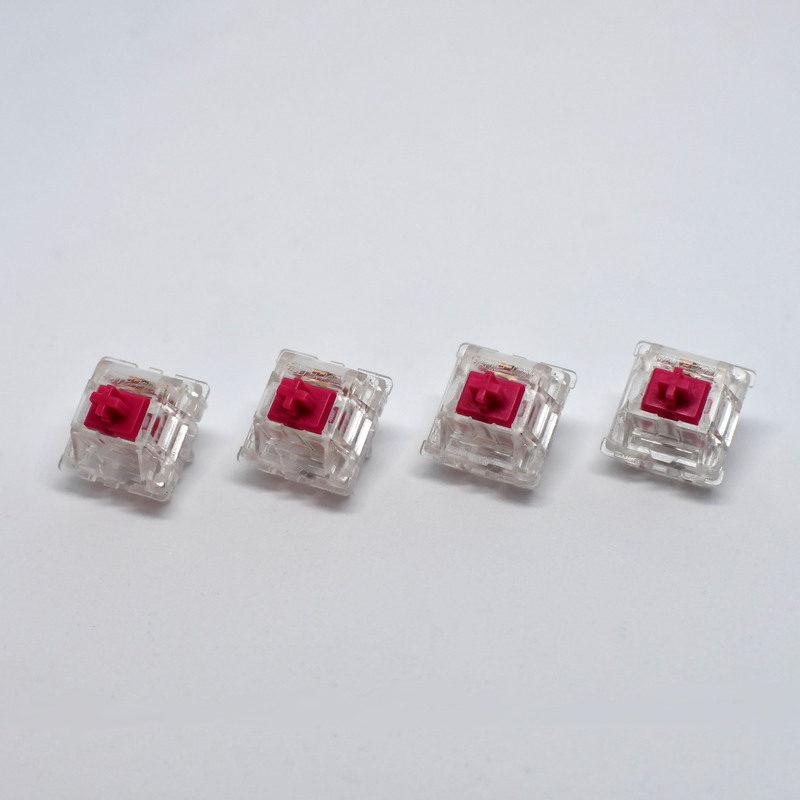 This tactile switch is a silent switch designed by KBDFans. 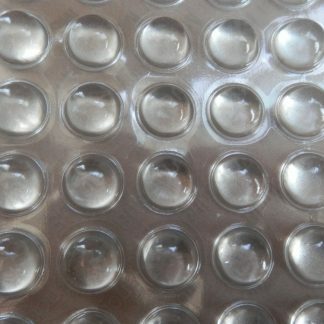 It has support for SMD LEDs, 2-leg LEDs as well as 4-leg LEDs. 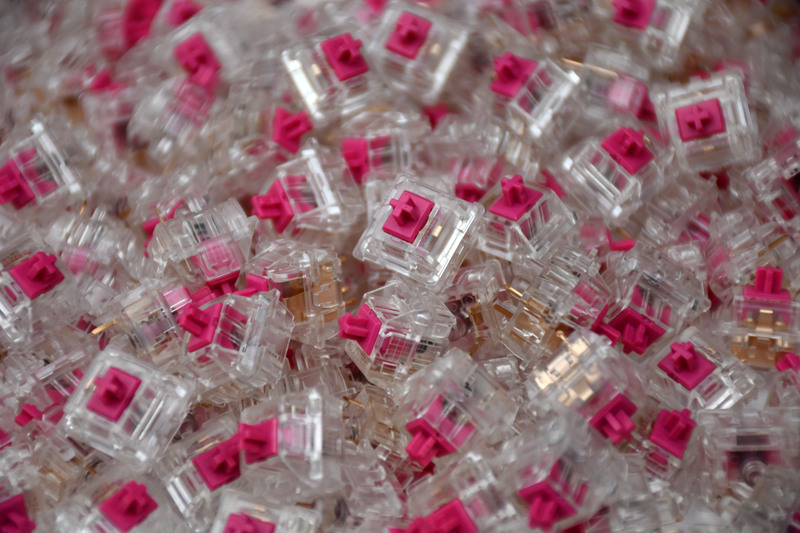 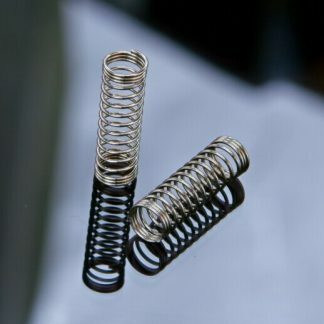 It has a completely transparent housing with lubricated pink stem for super smooth switch presses.